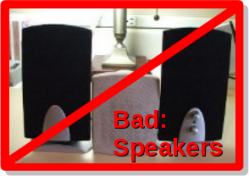 Feedback & Echo - G. A. L. E. S. L.
Feedback (反馈) is when there is too much sound, usually because your microphone can hear your speakers/headphones, creating a cycle of increasingly loud, high-pitched noise. 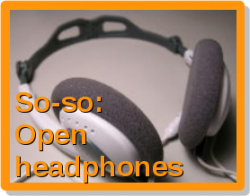 Echo (回响/回声/回音) is when you can hear your own voice a short time after you speak, and is also caused by your microphone hearing the sound from your speakers/headphones. Jukuu - sentences & Chinese translation with "feedback" & "echo"
Wikipedia - explanation of audio feedback, with audio sample you can listen to. The most important thing is to have the right equipment. 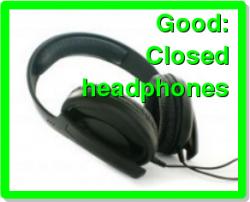 For listening to a class, use (closed) headphones or earphones, not speakers. For speaking, using a microphone that is part of a headset is probably the best. 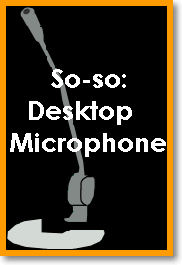 A desktop microphone is so-so (but you must be careful how you position it and with setting the volume levels). Built-in microphones (like in the screen of a laptop) are vulnerable to feedback.